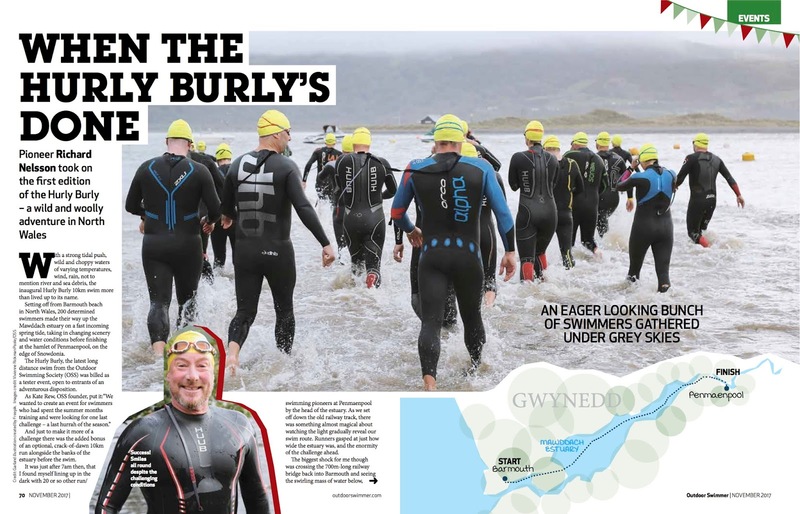 Set in North Wales on the edge of Snowdonia, the Outdoor Swimming Society's Hurly Burly is a challenging 10km swim up the Mawddach estuary. 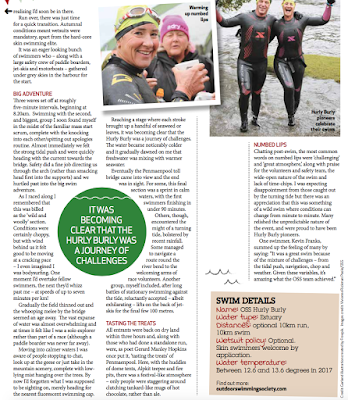 Heading off on a fast incoming spring tide, swimmers travel through stunning scenery and changing water conditions, before ending up at the hamlet of Penmaenpool. 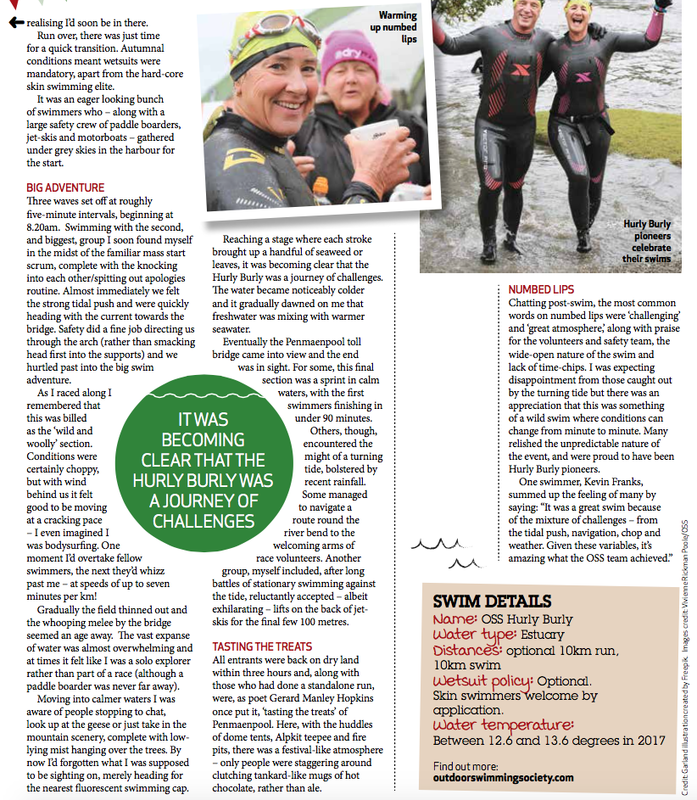 This year's event takes place on 29 September, but my experience at the inaugural Hurly Burly can be read in Outdoor Swimmer magazine.